In theprevious developer diary I talked about Treasure Hunting, one of three hobbies you can partake in during your time in Village Monsters. 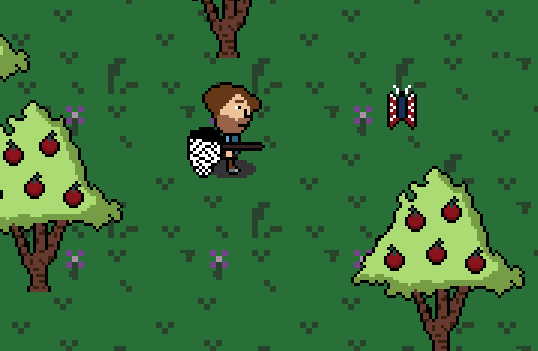 You'll notice I'm careful not to call it 'bug catching', and the reason is simple: you'll be hunting and catching far more than bugs. Sure, you'll still catch the familiar and mundane Monarch Butterfly, or the less familiar but equally mundane Caeser Butterfly, but there are far more fantastical things to hunt out there. Mountain gnomes, snow elementals, and even sentient loofahs (??) are all out there to just waiting to be caught. But there is a 3rd category for creatures that don't fit with either the mundane or the fantastic - they are called the misfects. Through data corruption and other mysterious forces, these previously normal creatures have been transformed during the long years of abandonment. There's the pitiful Half-Hopper, a frog that appears to only contain half of the normally necessary body parts. There's also this strange snake-like creature that grows, dies, becomes reborn, and then starts the process again. But uncovering creature variety is only half of the fun of this hobby - the other half is actually catching them. 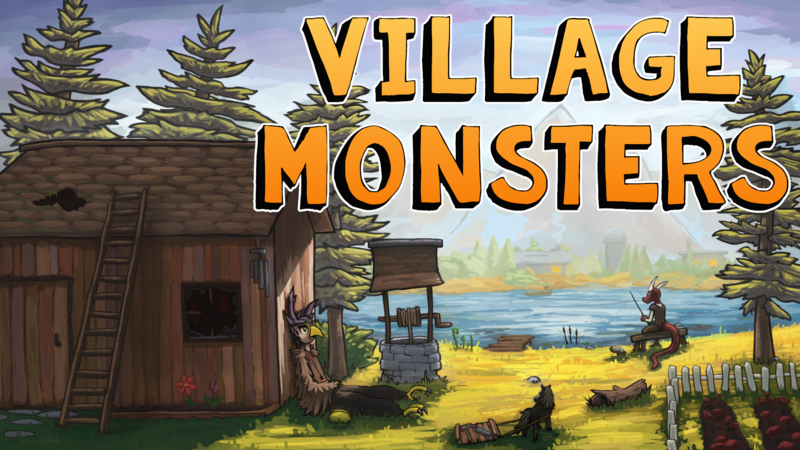 The Village Monster calendar contains 4 seasons spread across 8 months, and each critter has their own seasonal appearances. Some have further requirements before they appear - like different weather, the presence of a certain item, or even specific world events like holidays. In terms of actually catching them, the standard tool will be the bug net. You can upgrade your bug net, but the real powerful abilities come in the form of glitch powers. Pretty crazy, right? Well, remember those misfects I talked about? More than simple creatures were affected by the data corruption, and not every glitch is bad. As you catch critters you'll earn experience - but the 'experience' will be your character mastering how the mechanic works within the game itself. This in turn allows you to unlock various glitch powers to bend said mechanics to your will - like the above Bug Net Buzzsaw. I'm not going to go too crazy with creature behaviors. For the most part they'll be lumped in three simple categories - indifferent, fearful, and secretive. Fearful critters will get spooked and you'll need to give chase to catch them, while secretive critters will need to be lured out first. Each critter will have a unique description or - if applicable - backstory that you can learn if you bring it to the Historical Society. Some even come with some very special abilities - remember Snow Elemental above? Well, rumor says that it's been known to summon entire blizzards to hide in when it's especially fearful...perhaps there are other creatures with equally interesting abilities?